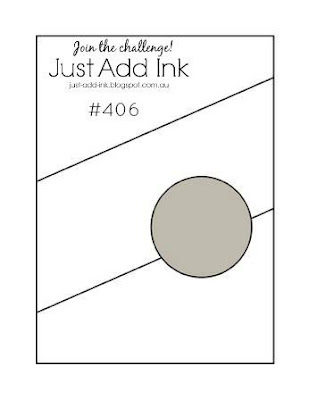 Welcome to Just Add Ink 406 - another week and another fun challenge!! 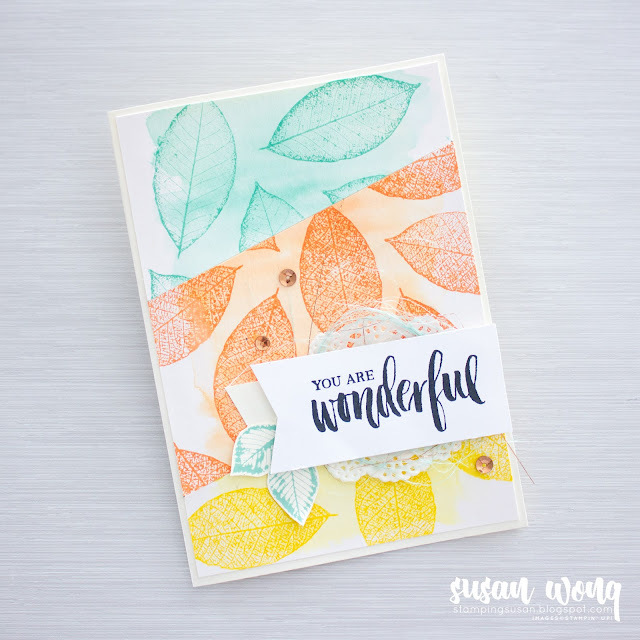 Here I am as Guest Designer again and I can say I really enjoyed this one. It's the simple things that get you going sometimes right? 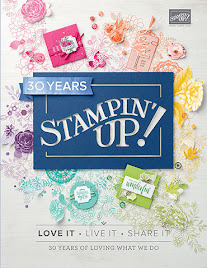 Well, maybe the brand new stamp set and colours helped. 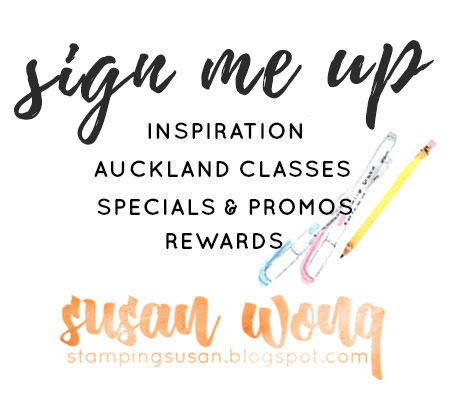 Use the sketch below to create a project, blog it then link it over on the Just Add Ink Challenge Blog. 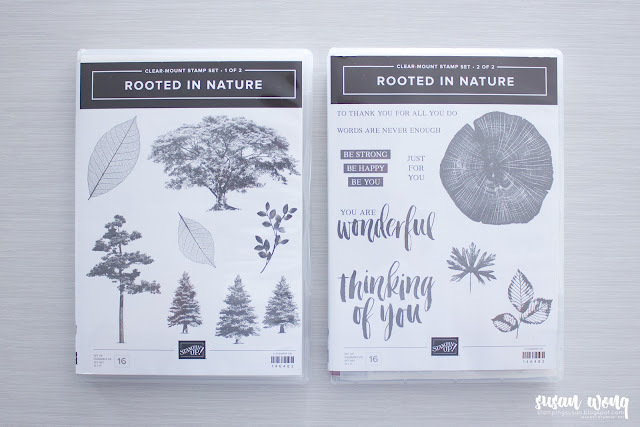 I adore this new stamp set 'Rooted in Nature' from the upcoming 2018-19 Annual Catalogue!! It comes with a whole suite of gorgeousness but for now I've paired it with a fresh colour combo - new colours Grapefruit Grove, Pineapple Punch and retuning favourite, Coastal Cabana. 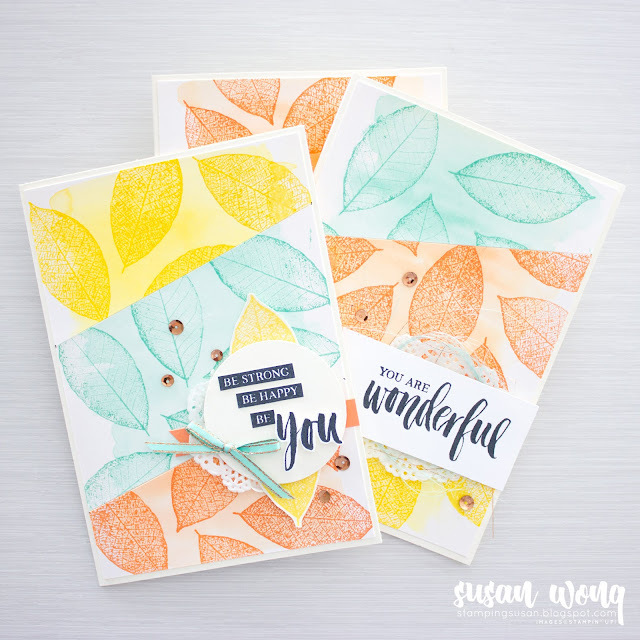 - Wash a single colour on 3x Shimmery White card mats with your Aqua Painter, drying then stamping leaves in the same colour. 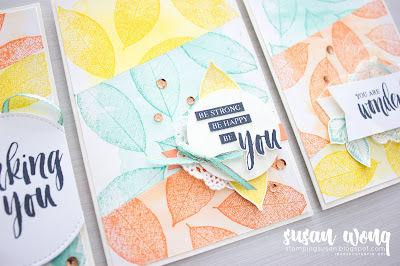 Splice at exactly the same angles by marking at the edges first then, hey presto, you have three card backgrounds! - Don't be afraid to mix Whisper White and Very Vanilla. - For a nest of fine threads, carefully cut one edge off the ribbon and pull out the fine threads. 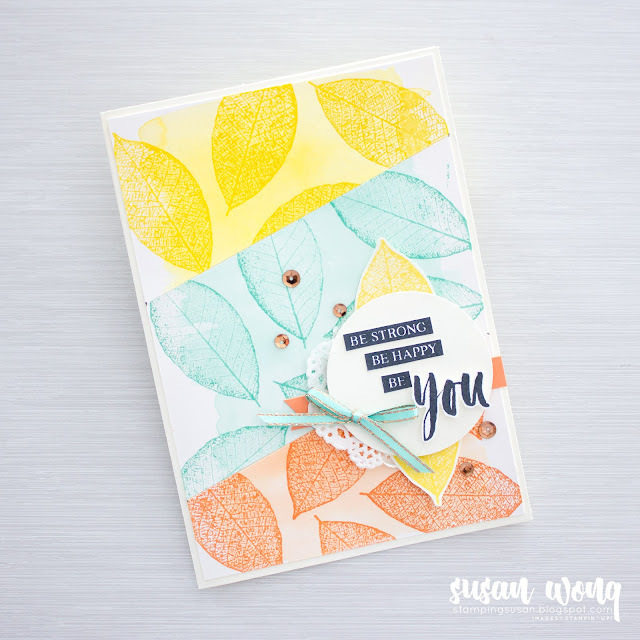 Group together and stick down on a piece of Tear & Tape Adhesive behind your sentiment. Can't wait to see what you come up with with this sketch! 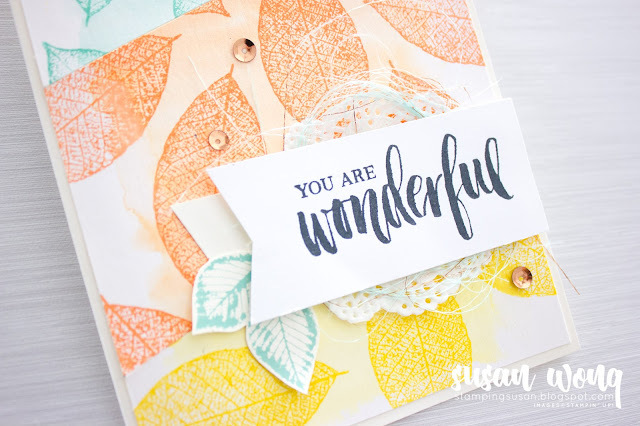 Your cards are fabulous, Susan! 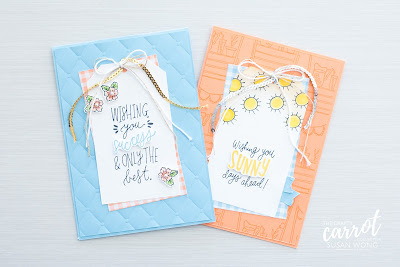 Great tip for splicing the backgrounds to make three cards. Susan your card is bright and soft and lovely! Your colors are ideal and sentiments perfect. I appreciate your explaining your techniques and supplies. 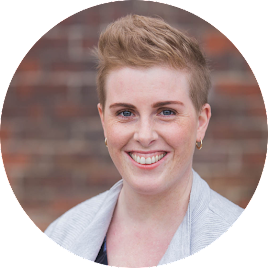 Barn Door - The Crafty Carrot Co.